UPVC garage doors offer a high level of resilience and security, and enjoy great popularity thanks to their perfect match with UPVC windows. We have various finishes to suit a wide range of tastes, including satin white, golden oak and rosewood, some with mock or real glazing features. Many customers enquire about UPVC garage doors because of their desire to have a maintenance-free garage that matches their windows. UPVC is ideal for making window frames and pedestrian doors, but it is not ideal for the wide expanse of a garage door. For this reason, all the leading manufacturers of UPVC garage doors actually construct them from a plastic called ABS. 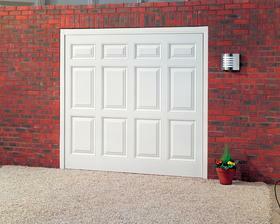 ABS garage doors are impact resistant, satin white, rot proof and stable. What’s more, they are guaranteed to not fade or yellow when exposed to sunlight and come with a 10 year manufacturer’s guarantee. 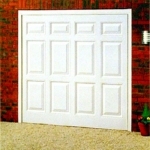 Click here to view UPVC doors styles, sizes and prices on upvc garage doors. Cardale Elite President UPVC door. 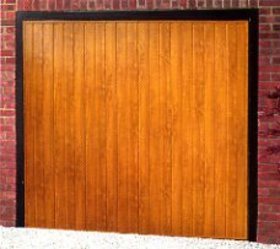 We offer some of the best UPVC garage doors on the UK market, all of which provide resistance to minor impacts, knocks and bangs. 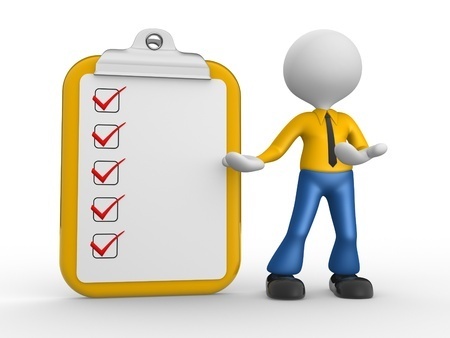 They require no maintenance, and can be fitted with manual or fully-automatic operation. 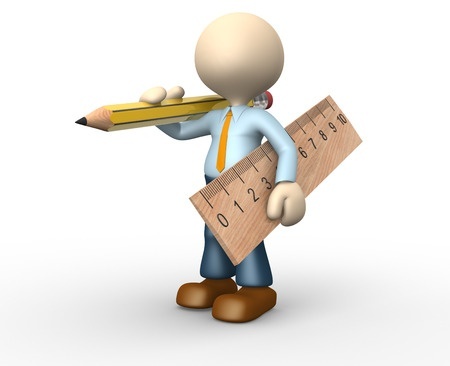 You can also choose a pre-framed option for easy on-site installation. 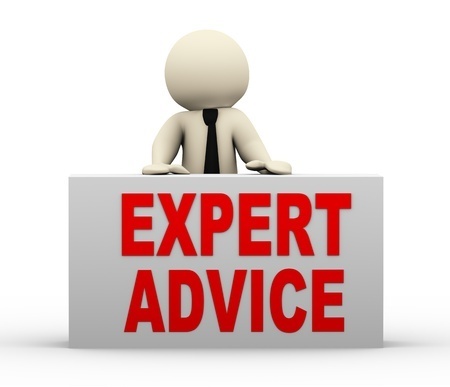 Our UPVC garage door prices are highly competitive, and our expert team can provide in-depth advice when needed. 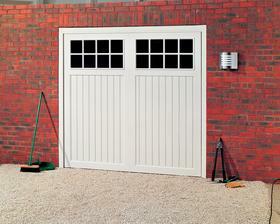 Many of the plastic maintenance-free garage doors we offer are actually made from glass reinforced plastic i.e. fibreglass or GRP, fine strands of glass set into a tough plastic resin. Lots of UPVC window and door companies who buy from us purchase GRP garage doors in Gloss White . When a timber appearance is needed, they choose GRP in Woodgrain All are completely maintenance-free and available at a similar price to our UPVC/ABS doors, made to measure at no extra cost. 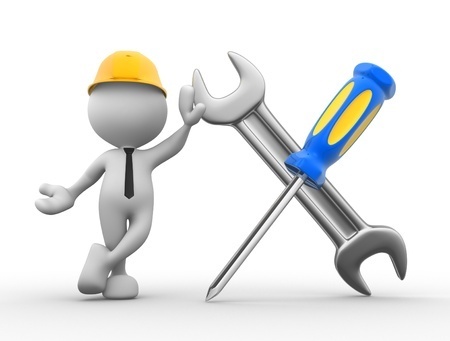 We’ve been selling Garage Doors for over 25 years and provide great service. 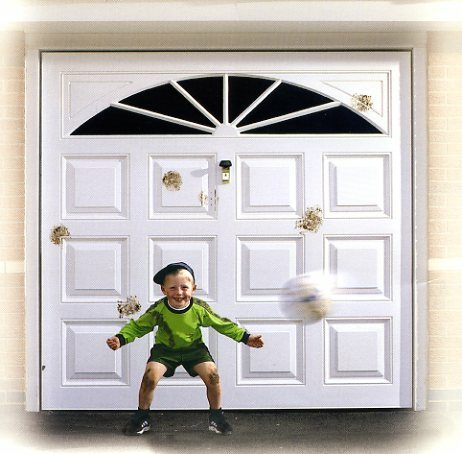 Why not take a look at our garage doors prices?